let me preface all of this by saying I'm having a big pistachio/mint green moment. 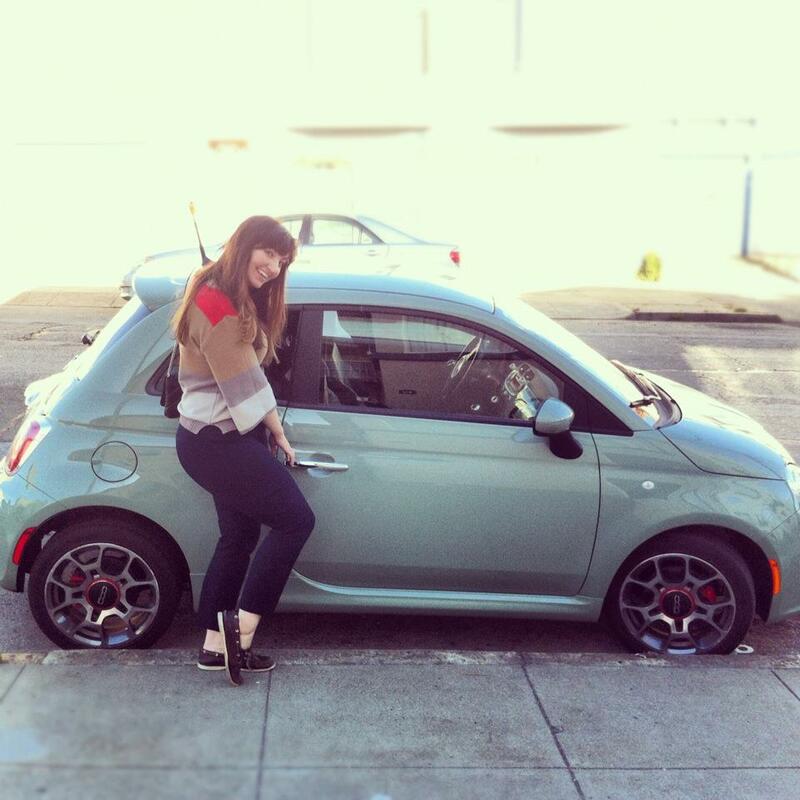 so when this mint green fiat was parked outside my apartment when I got home from work today, I was giddy. this is a sign from the gods that this is meant to be my car! me: "Take a picture of me with this car! It's cute and I want it!" brendan: "That's the ugliest car I've ever seen."